Photo by Nate Sparrow taken in 2016 during our fall market. We're a market made out of local makers & shakers poppin' around Brooklyn, NY. Find us next at Extra Fancy for our Holiday market on December 9th, 2018. Located in the heart of vibrant Williamsburg Brooklyn, join us for a family friendly event where community innovators will be offering you their unique product, services, and experience; supporting a neighborhood hot spot with plenty of foot traffic and weekend regulars, enjoy the day filled with live music, drink/food specials and more! Location @ Extra Fancy, 302 Metropolitan ave, Brooklyn NY 11211 – the outdoor yard complete with bar and food service. Set up time starts at 10:45 and we ask you arrive by at least 11:30pm. 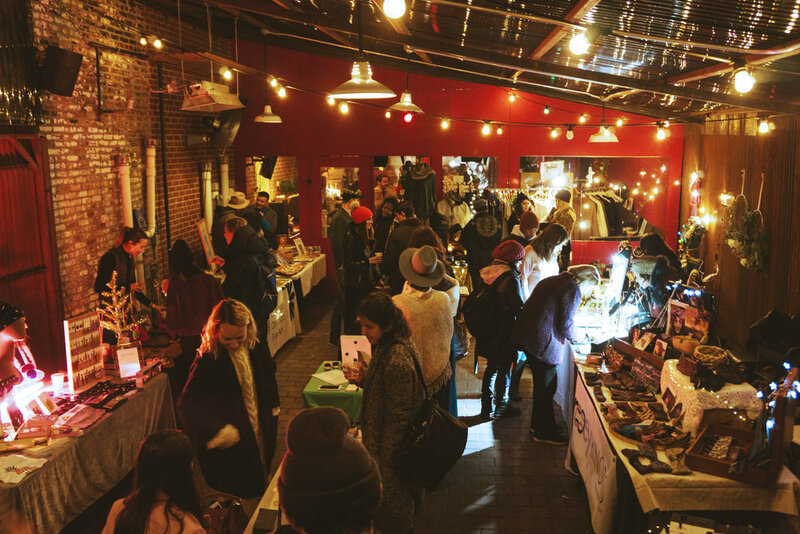 Note: winter market at the side yard at extra does get a little chilly! It is an enclosed yard with space heaters however please prepare to dress warmly! Layers, wool socks, mittens, scarves etc! If interested please fill out the questionnaire asap as space is limited. Payment will be requested via paypal. You have up to 24hrs to pay in order to save your spot. To note your financial contributions helps cover promotion and overhead. Adding to the specialty of event, vendor space is limited so need your kind response by no later then Nov 14th, giving us ample time to promote. Upon receipt will send you updated flyer and in community spirit ask all vendors to post and send out to their respective tribes as we will also be promoting through local publications and mailing lists. Will you need us to supply you a table? Please explain in detail what your set up will look like and the products you'll be selling. Any questions, comments or additional info?